It takes a lot of work to keep your building running smoothly. The Maintenance module is one of the most popular and oft-used tools in the BuildingLink platform, and the Recurring Tasks feature makes a good thing even better! If you want to change the way your team handles and tracks repeating maintenance duties, read on for a complete walkthrough of this powerful feature. Click on the Recurring Tasks link and you’ll see two options: Recurring Tasks and Recurring Tasks Forecast. The first option is where you set up and edit recurring tasks. The second lets you choose a date range and see all the recurring tasks for that period (more on that later). Here, you can specify the unit number, leave a detailed description, assign it to a maintenance category (as well as to an equipment item or employee), and all the other usual criteria that you typically apply to a task. Timing intervals for tasks include every day, every weekday, specific weekdays, monthly, and much more. You can pick your weekdays, months of the year, and set start and end dates for the recurrence of the task. You can even put tasks on hold for specific parts of the year (e.g., if the pool is closed for the winter, you can set the weekly task “pool cleaning” to suspend for a few months and resume when it reopens). How Long Can a Task Run For? Forever, if you want! Choose “No End Date” and the task will continue to recur indefinitely. If you have an end date in mind for when a task should stop recurring, you can enter it, or a task can be programmed to recur a set number of times, then stop. What Can I Do with a Recurring Task? Anything you want, really! Set annual maintenance reminders for when important equipment like boilers and elevators are due to be inspected or serviced, program daily or weekly cleaning duties, and literally anything else that needs doing around your building. Once the task is in the system, you’ll see it in your Recurring Task Forecast. Of course, on the date you’ve set for the recurrence, it’ll appear along with all other maintenance requests for your building. You can interact with each recurrence like any other maintenance request: leaving detailed notes, adding photos or documents, composing vendor work orders, and more. Let’s say you have a recurring task to inspect your building’s boiler. You want it done by October 1st, so you go into BuildingLink and create a recurring task for every year to remind you. 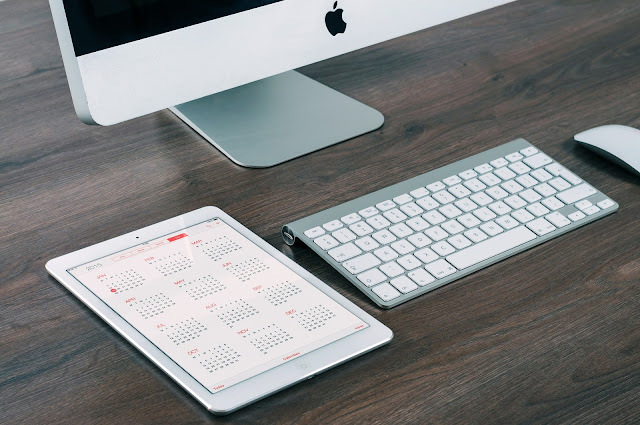 However, the system notifies you on the date you set, not the date you necessarily need to be notified by in order to get the task done by the target date you have in mind. To make sure you have the lead time you need to handle larger projects, it can be helpful to set two (or more) tasks in the system: one (or more) a few weeks beforehand to remind yourself, and then the final one at the actual due date you need the task finished by. You’ll see all these tasks listed in your Recurring Tasks Forecast. The Recurring Task Forecast is your window into the future of your upcoming tasks. Once you have Recurring Tasks programmed in the system, you can view them in a variety of ways to suit your planning needs. Choose your date range, maintenance category, equipment item, task type, and whether or not to show the task descriptions. The system will display the recurring tasks that fit your criteria. It’s a great way to get ahead of your to-do list! The Recurring Tasks module is a powerful tool for helping you plan your maintenance needs ahead of time and keep your building running smoothly. If you’re already a BuildingLink customer and want more help setting up Recurring Tasks, the Support Team is standing by to serve you. Call or email today and let us help you get the most out of your subscription! Not a BuildingLink customer? Set up a demo and see how Recurring Tasks and our whole host of other amazing features can make your building smarter and your residents’ lives better. New “By Location" Building Library Setting Added: The new “by location” filter allows managers to make documents viewable only by specific residents tied to physical locations. You can customize the physical locations to suit your layout, e.g. Tower 1, Tower 2, North Tower, South Tower, etc. New Special Permission Added: “Allow Staff to Update Resident Info.” Security Officers and Managers can now allow staff to edit/update resident contact information and unit information. New “Welcome Pages” Enabled in Beta for Most Properties: Residents in these buildings see an updated and streamlined version of the “new user sequence” the first time they log in. Exportable “Notes” Field Added to All Employee Profiles. Updated Basic Login Page: Users can now add a custom image to their login pages via the Design Center. That’s all changed now, though. In an interview on February 6th, Nest CEO Marwan Fawaz, who now reports to Google's hardware chief, Rick Osterloh, appeared in a joint interview and discussed Nest’s return to the fold: Nest will now officially be under the Google umbrella, instead of its prior far-removed position. "All of Google's investments in machine learning and AI, they can very clearly benefit Nest products. It just makes sense to be developing them together," Osterloh said. The play here is obvious: Google wants to get its AI assistant out into the world, anywhere it can, and smart speakers are a huge gateway to doing that. Amazon’s Echo, with its attendant AI, Alexa, has already sold over 20 million units. The ecommerce giant dominates the “smart speaker” market with a 69% share. Google might be the only other big player, with 31% of the market, but that’s still less than half Amazon’s share. And the playing field is about to get even tighter, as Apple’s HomePod smart speaker just went on sale February 9th. What does all this mean for smart homes? Google’s AI assistant, despite lower usage numbers than Amazon’s, scored highly on an independent assessment conducted by 360i, an NY-based digital marketing company. The Google name also carries a lot of weight with consumers, and efforts to increase the search giant’s hold on the smart speaker and smart home categories dovetail well with its other recent hardware bets, especially their Assistant-equipped Pixel phones. There'll most likely be a lot more Google Assistant-equipped devices running around the market, whether they be Google- or Nest-branded. Lastly, just as Amazon offers developers the chance to integrate with Alexa via “Skills,” Google’s “Actions” let programmers plug into the Assistant in similar ways. Amazon’s Alexa might have been the first to market and have a huge lead on the competition, but there was no way the other big tech companies were going to let that go uncontested. As AI assistant-equipped speakers and other smart home tech continues to propagate, you can bet that BuildingLink will stay on the leading edge, finding new ways to make buildings run better and thrill our customers! Don't have BuildingLink? Book a demo and see what this powerful platform can do! Stay tuned for our dedicated Aware! website.